Every year, the kids and I make a homemade ornament or two. This year, given my sudden infatuation with snowflakes, I zeroed in on this winter craft. 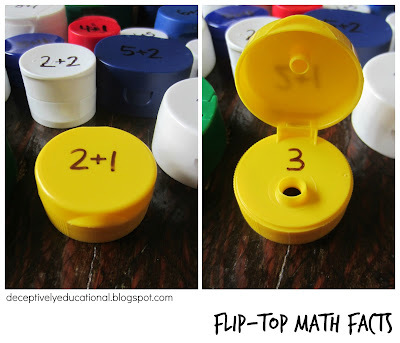 It was perfect for my four-year-old who could always use a little fine motor practice. Making this lovely little snowflake is simple. 1. Paint three wooden craft sticks and let dry. 2. 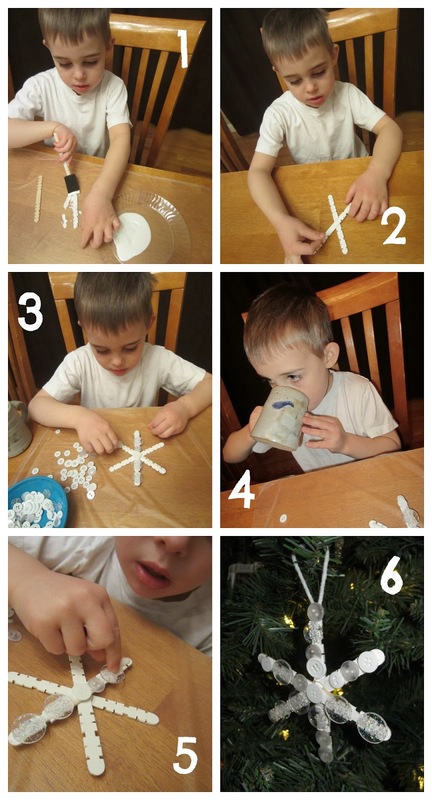 Arrange them in a snowflake shape and use hot glue to hold them together. 3. Apply white school glue to the six points of the snowflake. Position the buttons on top. 5. Keep gluing buttons on until the whole snowflake is covered. 6. Let dry and attach a loop of yarn to the back with hot glue so you can hang it on the tree. While we waited for the glue to dry, we read two excellent books. Snow by Uri Shulevitz is a charming book that tells the typical tale of a child who is excited for snow when the grown-ups are not. It's a simple book with enchanting illustrations. The Little Snowflake by Steve Metzger chronicles the journey of a snowflake as it falls from the sky, hoping to land in a field and become part of a snowman. It's a heartwarming story with a beautiful (and happy) ending.